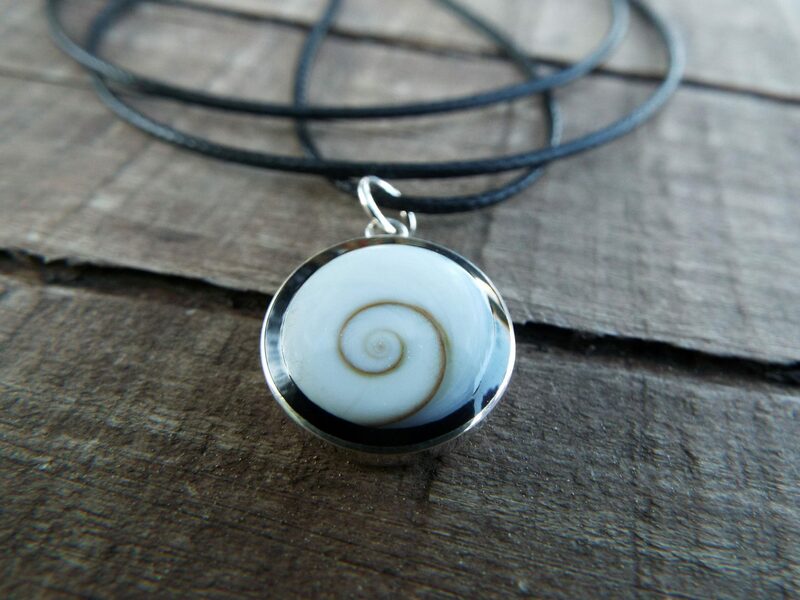 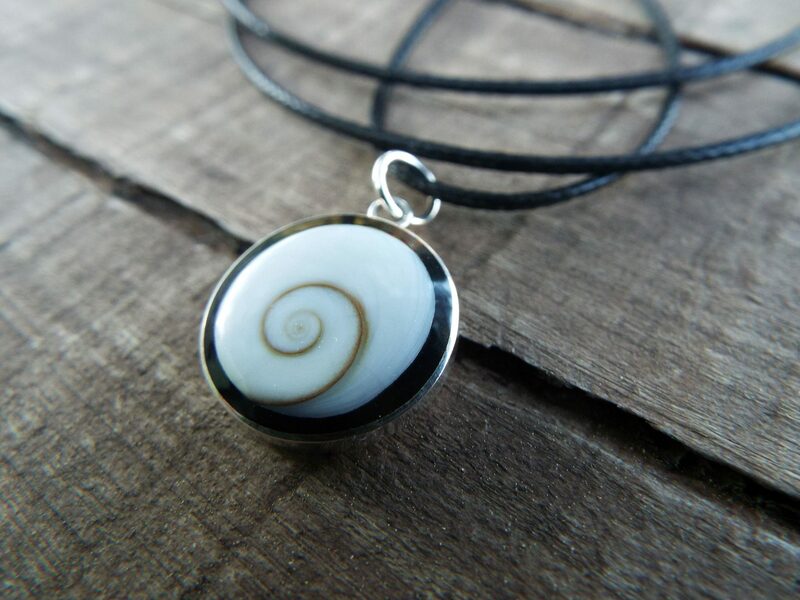 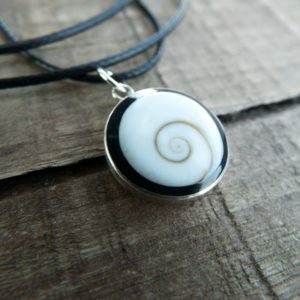 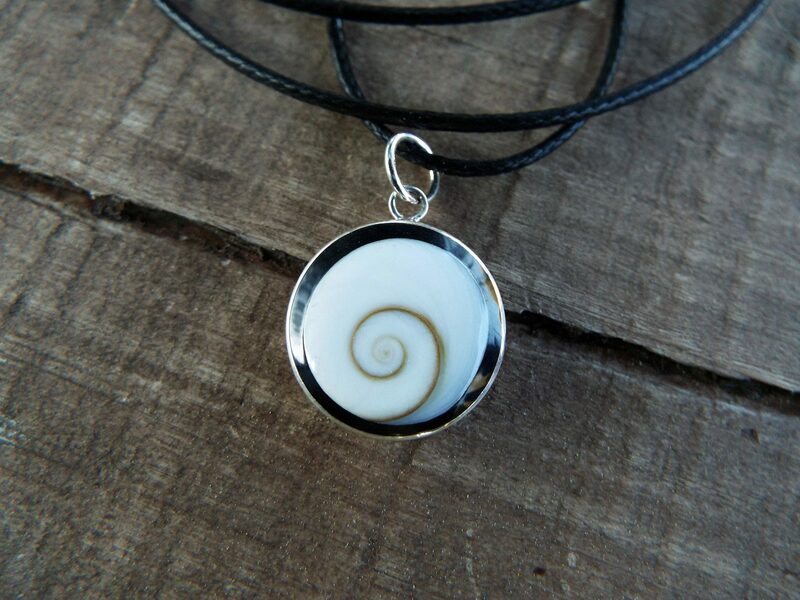 The Shiva Shell, sometimes called Pacific Cat’s Eye has been believed to open the Third Eye Chakra which transforms and mutes negative energy. 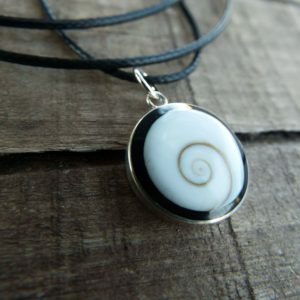 It is a stunning natural gem made of calcium carbonate and has a brown and black band that is carved into the shape of the eye. 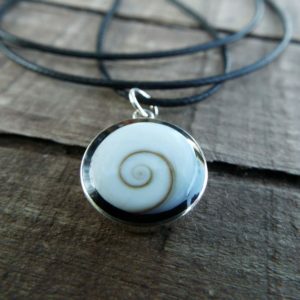 Lord Shiva is worshiped in countries such as India, Tibet, and Sri Lanka. 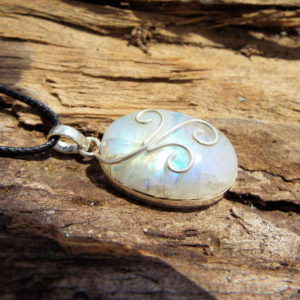 The gem’s name derives from the Lord Shiva’s third eye in the middle of the idol’s forehead. 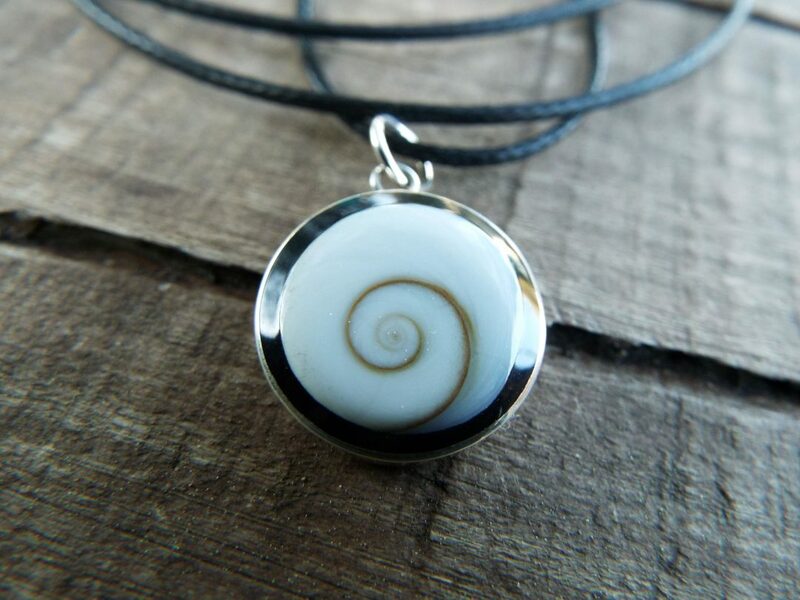 Shiva’s eye is a significant divination and transforming crystal which helps one to find a new path in life. 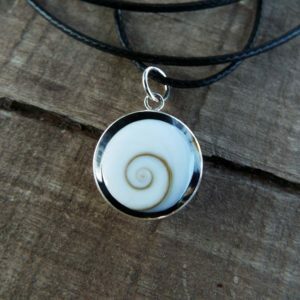 It gives us the vision of the Third Eye and has water energy which is believed to sharpen the wearer’s intuition, which in turn enhances the discernment and deepens our understanding. 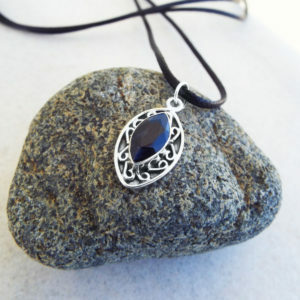 It is a stone of wisdom which helps us to understand our world and events. 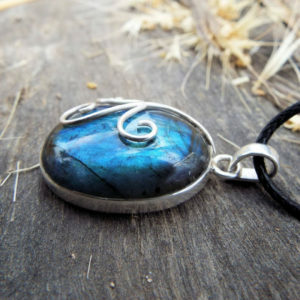 The flowing energy of this stone balances the push of life’s currents and will protect or guard against its ill effects. 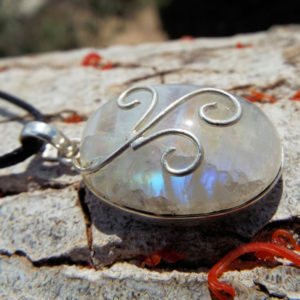 The Eye of Shiva or so-called Pacific Cat’s Eye is used principally as a meditation crystal to understand yourself and the issues that are happening in your life. 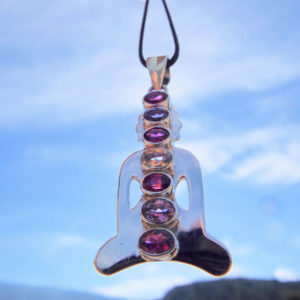 It is practiced to facilitate deep understanding of your inner self so that you can effectively dispense with the outside universe in a manner that is sizable for your heart. 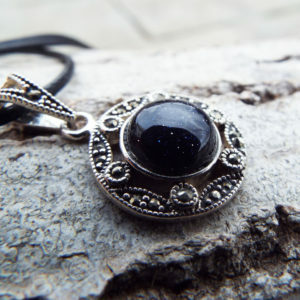 Onyx is known to encourage inner strength, focused attention, willpower, self-mastery, discipline, and reason. 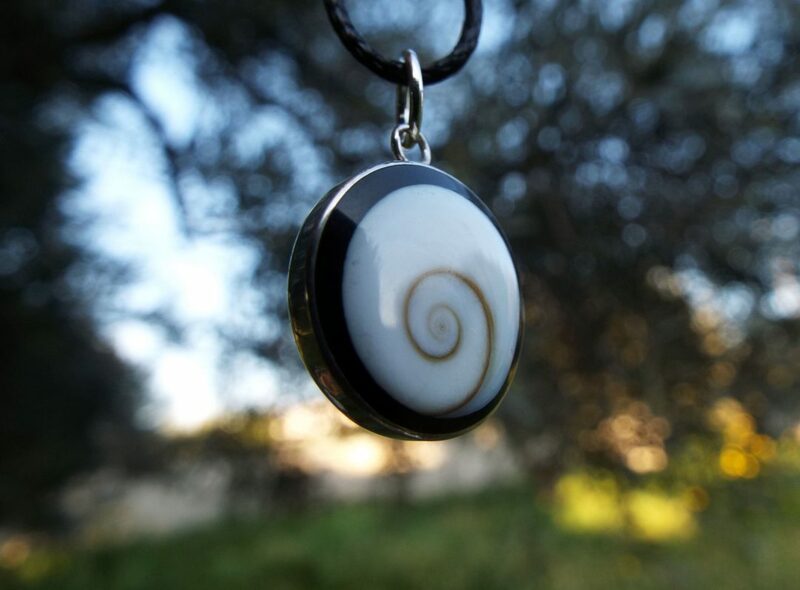 Its element is Earth, and always has balance in its properties. 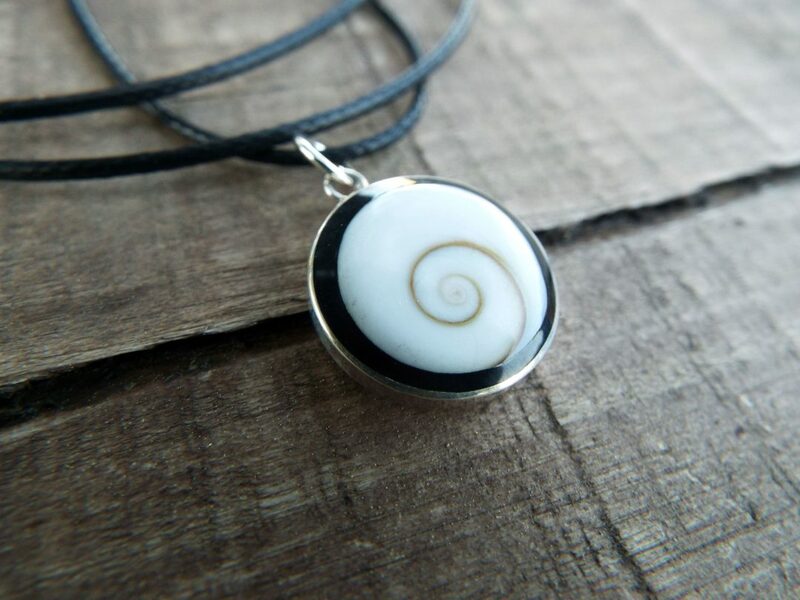 In India the onyx is used to protect against the evil eye and is said to ease childbirth. 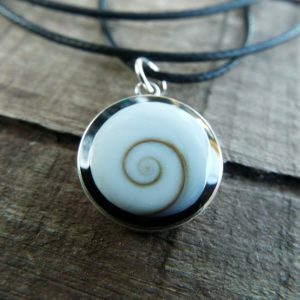 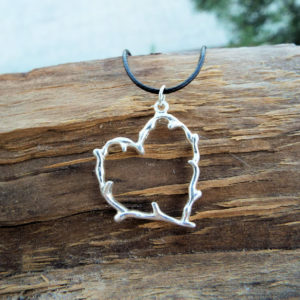 It keeps the wearer focused, calm in difficult situations and soothes hot moods. 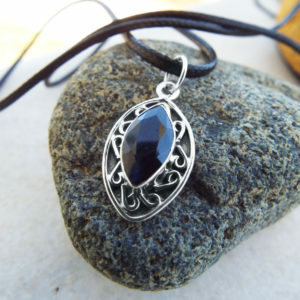 This stone works well with other gemstones, it consolidates their energies. 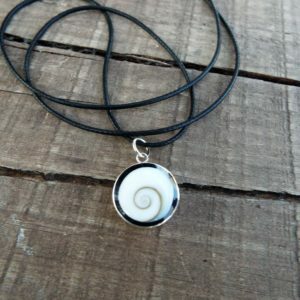 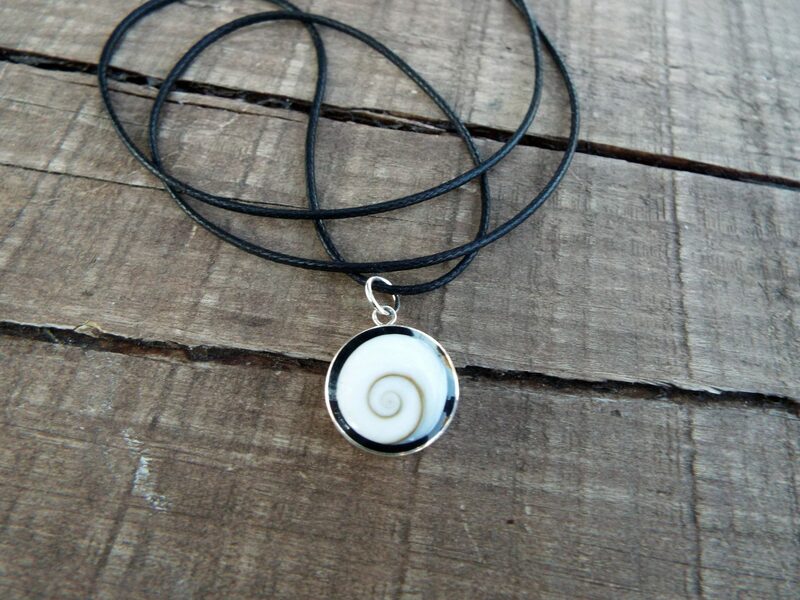 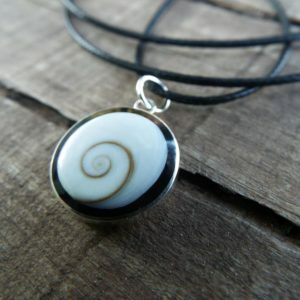 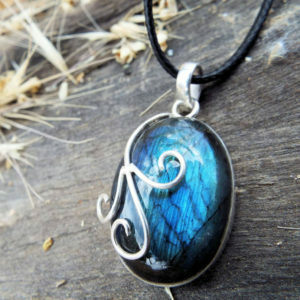 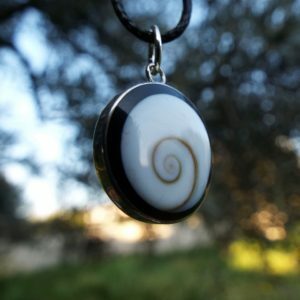 Embrace the magic of shiva and onyx with this handmade pendant! 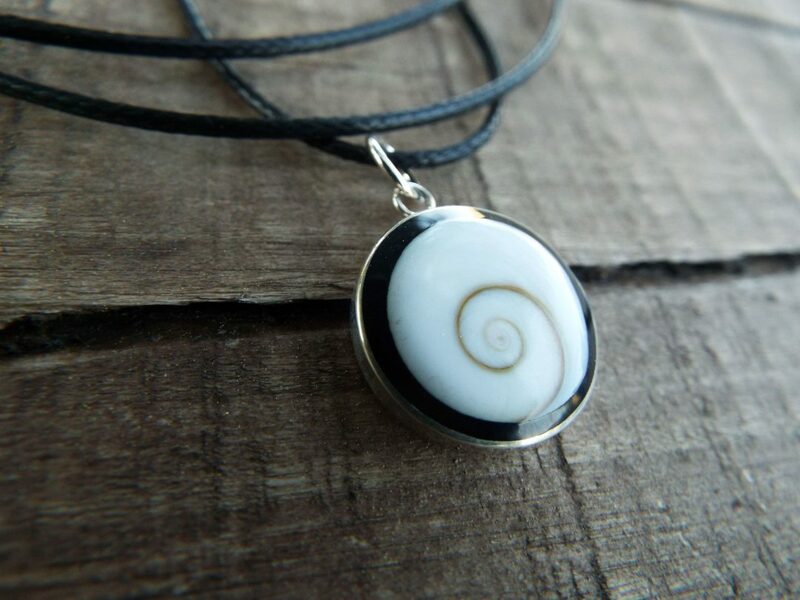 It’s made of black onyx, shiva seashell and sterling silver 925. 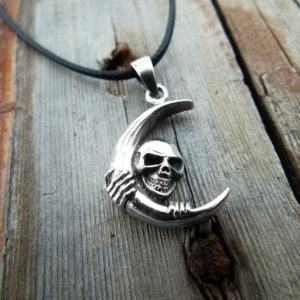 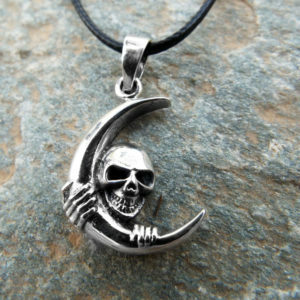 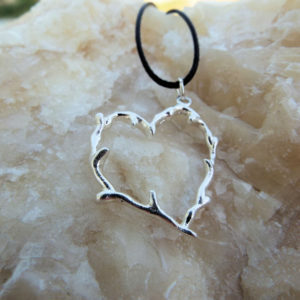 It will be sent with an adjustable black cotton strap, but it also looks great with a silver chain.